If you’re going back to school, it may feel as though you’re jumping into deep water without a life raft. However, an iPhone can mitigate some of those fears with useful apps that help you learn and manage your time more efficiently. Plus, some of our 25 helpful iPhone apps for new college students are perfect for appearing smart, even if you feel mentally adrift! 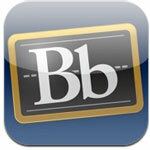 Blackboard Mobile Learn: This free app allows students to access all the information they normally would find on their unique online account. They need only to download the app, input their username, and they will be able to access all their class information. Cram: Cram makes studying fun with multiple study modes, images, and detailed test reports that track your study progress. Don’t feel like adding your study material into Cram? Download a pre-made study set from a pool of thousands provide by Quizlet and save yourself some time. Date Wheel: This app will calculate the time between months, days and more, so you’ll know exactly when assignments are due. You can also start a countdown to remind yourself about how much time you have left to complete that project. Localized for date formats and available in English, German, French, and Spanish. Desire2Learn Campus Life: This mobile solution connects learners with their academic community by extending the campus presence into their everyday lives. Through your iPhone, Desire2Learn Campus Life connects you to campus media, news, events, directories, services, and learning management systems (LMSs). Evernote: This app allows students to write text notes, snap photos, or take voice notes. Those documents can then be uploaded to an online site for access anywhere. Users can also sync those notes with desktop software on their Mac or PC. History: Maps of World: After downloading this free app, users can view maps of all the continents at different points throughout history. The app features up-to-date maps showing current boundaries, but where it provides the most value is in its historical maps, which display boundaries and important places from periods throughout history. If By Phone: Ifbyphone provides a suite of software-as-a-service voice applications for call tracking, call notifications, call forwarding, call automation and interactive voice response (IVR). You can use this app to collaborate fellow students, too. iStudiez Pro: Track tasks and deadlines, plan homework, arrange assignments and much more as you organize your schedule. Not only you can enter most common course details, but also add instructors with all related information such as office hours, affiliation, phone number and email address. Open Culture: The Open Culture app gives you mobile access to educational audio and video collections. Now, you can learn whenever you’re on the go, and it’s all free. This app works with WiFi, not Edge. PI83 Graphing Calculator: This app mimics Texas Instruments’ Ti-83 graphing calculator, a tool that many college students need. It might not be as powerful as a standalone graphing calculator, but it’s extremely close. And since some students are on a budget, this might be a viable alternative at only ninety-nine cents. 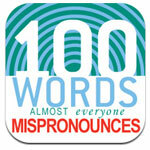 100 Words Almost Everyone Mispronounces: Have you ever been told that a certain word you have been using is correctly pronounced in a different way? And what about those words with more than one pronunciation — does it matter which one you use? Hear the correct pronunciation with this app. No Internet connection needed. Bookshelf: Easily read and download electronic books with pictures in a variety of formats. A WiFi network is required to transfer books between your device and your computer with the ShelfServer free application available on the developers homepage. No Internet connection is required once books are transferred. Classics: This impressive book application for iPhone features some of literature’s finest masterpieces…and it looks and feels like a real book. You get a table of contents button for quick navigation, reading progress bar, bookmarks and a beautifully-designed interface. Kindle: The Kindle app is optimized for the iPad, iPhone, and iPod touch, giving users the ability to read Kindle books on a beautiful, easy-to-use interface. You’ll have access to over 950,000 books in the Kindle Store, including best sellers and new releases. Spellcheck: Look good to instructors, teachers and anyone you send an email to with your iPhone. Get support for all international characters and symbols, save functionality, enabling users to reuse text in email messages and create multiple email signatures. 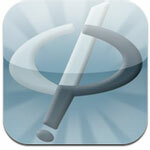 Stanza: Stanza is a free application for your iPhone, iPad, and iPod Touch. Use it to download from a vast selection of over 100,000 books and periodicals, and read them right on your phone. It’s a wireless electronic library that stays open 24/7. Talking Phrasebooks: Check out Coolgorilla’s revamped Talking Phrasebooks for iPhone and iPod Touch. Complete with a funky old look and new search facility, they’re even better than the old ones which received over 2 million downloads since the launch of the App Store. Wikipanion: Wikipanion was designed for easy, search, navigation and display of Wikipedia entries. Streamline your browsing with history grouped by visit date, and bookmarking that not only bookmarks individual entries, but individual sections within an entry. Words of the World: This fun and educational application delivers a new word in six different languages every day. Build your vocabulary in English while also getting a chance to learn some new words in multiple different languages. WorldCat: Find a WorldCat library near you. Enter your ZIP, postal code or use your Location in the Libraries Locator. Search for library materials—Enter search terms such as keywords, author or title. For example, to find “Absolute Power by David Baldacci,” just type ‘abs pow dav’. AskPhil: This app places the skills and knowledge of trained philosophers at the service of the general public. This app gives you flexible access to the thousands of questions and answers on the website. Council on Foreign Relations: Get the latest news analysis and commentary from the Council on Foreign Relations’ Web site — now available on the go for the iPhone and iPod touch. Stay up to date with daily analysis, backgrounders, expert briefs, transcripts and interviews. Facebook: You cannot leave home without your Facebook app! Use your iPhone to start a conversation with Facebook Chat, check your friends’ latest photos and status updates, look up a phone number, or upload your own mobile photos to Facebook while on the go. FORA.tv: This app gathers the Web’s largest collection of unmediated video drawn from top conferences, universities, and public forums. FORA.tv has been named a Top 50 Web Site by TIME, and a Top Education Site by The Telegraph. TED: TED presents talks from some of the world’s most fascinating people: education radicals, tech geniuses, medical mavericks, business gurus and music legends. Find more than 900 TEDTalk videos (with more added each week) on the official TED app — now for both iPad and iPhone.